Acadian, Comgest, Eurizon AM, La Financière de l'Échiquier and Vontobel will be presenting at InvestmentEurope's Milan Forum 2019 on the 8 of March at the Four Seasons Hotel. 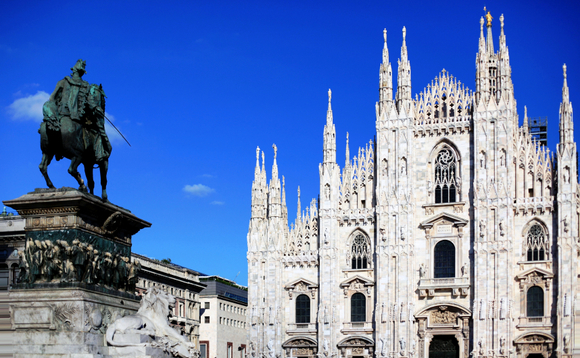 These five asset management groups will address a wide range of asset classes and investment trends to an audience of around 35 Italy-based fund selectors. Topics will range from European Small and Mid-cap; EM local currency bonds; absolute return strategies; to European and global equities. Stéphanie Bobtcheff, senior portfolio manager Small & Mid-Caps, will outline how the firm invests in this asset class. Thierry Larose, executive director and senior portfolio manager at Vontobel Asset Management, will share his views on investments in the emerging markets local currency bonds' universe, while Epsilon's head of discretional and total return investments Luca Sibani, will explain Epsilon Absolute Attivo, an absolute return strategy aimed at generating returns in bearish markets while providing stability in a more bullish environment. Acadian Asset Management's vice president and portfolio manager Mark Webster will introduce the Acadian European Equity Ucits Fund (a blend all cap strategy) while outlining the firm's multi-factor approach to European equities, seeking to provide a diversified, dynamic and risk aware portfolio. Zak Smerczak, analyst and portfolio manager of global equities at Comgest, will explain Comgest's quality growth approach to global equities, designed to tackle increasing volatility while delivering long term growth. The Forum will also count on a panel session, which will be formed exclusively of Italian female selectors discussing topics like diversity in the fund management industry, an overview of the different asset classes and ESG.